The other day I was thinking about how did it happen that now I only want to cut and color my hair on my own? When I was a student on a tight budget and couldn't really afford visits to a salon, I was dreaming about times when I'll have a job and will be able to pamper myself in the best salons getting top service at any price. Guess what? The time for me to get a job has come, but the thing about top service has never really lived up to my expectations. I changed many salons, many of which are considered the best in Paris, consulted many hairdressers trying to find the right one, but only to come to a conclusion that rather than being pampered in a SPA-like environment, I get stressed and disappointed. I don't get neither cut nor color that I want, my hair is being damaged by people who don't really care about it, and I'm actually paying $$$ for all of that. I realized I had to learn how to cut and color my hair on my own, because even if I wouldn't do a perfect job, whilst I'm careful, it still couldn't get much worse than what I was getting in salons. I'd eventually learn everything I need to know and finally have a cut and color of my dreams. In the meanwhile, I'd save time and money :) And so far I was right! - But didn't we say it's going to be 1''(2-3cm)?! - Darling, your hair really needed it! I chopped off whatever looked really horrible, so you should be happy about it. Happened more than once. I wonder why I never felt that happy... at all! I actually felt like mourning... RIP my hair... Plus I never asked them what they thought about my hair. I just came to pay for a certain service and get it done, so using words like "horrible" was really uncalled for. It's something nail technicians also like to say a lot. Whenever I used to change nail technicians (now I do my nails on my own as well), they'd always say "Who's this terrible person who did your nails? They look horrible!" [Yeah, right! like your work is going to look any better in 3 weeks time. So far I tried ~20 nail technicians (I moved countries and places quite a lot and had to find new salons nearby) and only 2 were really awesome]. - It IS this hair color! (1) If you're unable to reproduce a particular color (which is totally understandable), please, be honest about it, tell it to your client *before* you commit to coloring their hair. (2) If something went wrong (sh*t happens! we're all human and your job can be very challenging at times), just have the courage and dignity to accept it and analyze your mistakes to do a better job next time ...or just refer to (1). - No, it's not! [grabs a section of hair dissolving toward the ends and pretends he doesn't notice anything] Where do you see breakage? [wtf! all along the hair strand!!!] 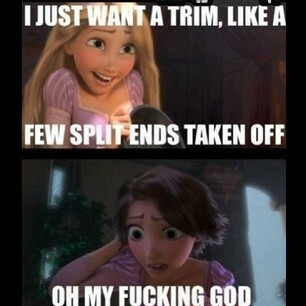 Most girls who have their hair bleached have to cut it short, but you actually managed to grow it till your shoulders! That's really rare, you should be happy about it!" 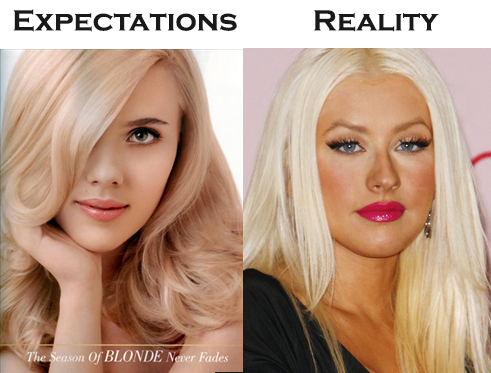 Wait, as an Eastern European, I know hundreds of girls who bleach their hair and still have it down to their waist... Thick and gorgeous! So what's the point to insult my intelligence and tell me things which are obviously not true... I know for a fact that the condition of my hair has worsened a lot! Is it just to justify his work and avoid taking responsibility for the condition of my hair?.. But I'm there not to point fingers! I just want to find a solution, while his attitude is something that makes any further conversation meaningless and his professional skills doubtful. - My hair is very thin, and with all this bleaching it has gotten even thinner [my ponytail is the size of my thumb totally dissolving toward the ends]. - No, it's not thin. This other client of mine, you can see most of her scalp through her hair. That's thin! In reply to "I think bleaching is bad for my hair. Perhaps instead of bleaching, we could try coloring my regrowth a slightly darker blonde and then adding some highlights every couple of months?" - If you're so smart and know everything, why do you even ask me about my opinion? When I heard that, I really thought I was dreaming... Believe me, I'm a very polite person and put a lot of efforts into phrasing my words in a way that sounds respectful. But this person got so offended by the fact I was coming to her with my own ideas rather than quietly entrusting my hair into her professional hands... And unfortunately, 90% of hairdressers I've spoken to so far tend to get annoyed when I suggest what's that I'd like to be done with my hair. And God forbid me getting technical and telling them what developer and hair dye/toner number I'd like to have used. That's something they seem to consider borderline insulting. - No, it's going to be ugly. You'd need to add some dark lowlights to the rest of your hair"
- But since my hair is so light, won't these lowlights wash off after 2 weeks? And this is something that pisses me off. Forget "What's the point to suggest something that's not going to last?" and will turn to "Ugly" in a matter of weeks. What I'm really annoyed with is that so many times I asked for a color, got something vaguely similar, just to discover that in 2 weeks time it will be totally gone! Dear hairdressers, please inform your un-hair-educated clients about longevity of a certain hair color and tell them what their hair is going to look like in a week, month and so on. Tell them what sort of maintenance commitment is there to make. Tell them what kind of damage can they expect. If I knew that bleached hair needs to be toned every 2 weeks to maintain that Hollywood pearl blonde, I'd never ever have it bleached at first place! Same thing about pink/red/blue hair washing off to yellow/orange. Once my best friend asked for purple highlights in her "virgin" black hair and she got them. But surprise surprise! After 2 weeks her purple strands have gotten orange! Needless to say, she didn't see it coming and was rather upset with the entire experience. 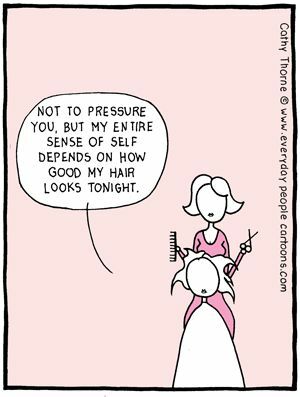 In my experience, hairdressers try to receive more clients than they physically can. Forget 20 to 45 minutes that I usually have to wait for them after the time of my appointment, the worst thing is that way too often there's no one available to wash the bleach out of my hair since everyone's already busy with new clients. Very often I had to wait for another 20 minutes after 50 minutes of the *maximal* recommended product development time. No wonder that over time my hair has gotten more and more fragile and started to break off. A very poor choice of hair dyes and toners. Every salon seems to work with only one brand of hair products and when it comes to blondes, there's hardly anything to choose from. Especially here in France where blondes are not popular and girls generally do not dye their hair unless they want to cover their grey hair. So recently I decided to tone my hair on my own with toners I buy online. I use ammonia-free products that are super easy to use and instantly give that Hollywood blonde shades that I was always dreaming about. They do wash off after a couple of weeks, but since they are quite cheap (5-10 times cheaper than what they charge for toners in salons), I can reapply them as often as I need to. The following things I experiences/heard from people I was modeling for. I do realize that at work I cannot expect to be treated like a princess, but wait, how ridiculous is that?! A renown stylist was taking his time to crimp my hair for an hour, burning it alive over a generous amount of hairspray strand by strand. I was cringing for the entire hour to the point my muscles started to hurt and I got a headache. But as a model, you're expected to stay quiet, so I did. Then he started to tease my hair for another hour. He was going for that crazy Marge Simpson-like volume (haute couture hair styling, you know!). 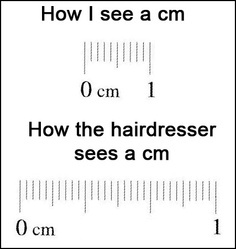 I could see my crispy hair breaking and falling on the floor every time he vigorously moved his comb probably assuming that my hair was made of some flexible iron. Another model sitting next to me (a much more lucky one since her stylist had a more "hair friendly" hairstyle in mind for her appearance in the show) could also see it and asked my stylist "Isn't it damaging for her hair?!?!" to which he replied "Look at her. She's bleached the f*** out of her hair. Now that's MUCH more damaging for her hair than what I'm doing here!" A colorist was preparing my hair for a show. 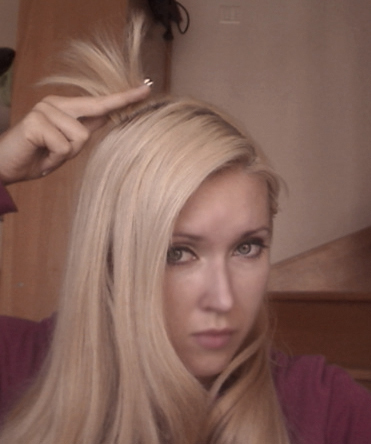 She had to bleach my roots, but whatever she did to my hair made it break to the extent that when I touched (!) a strand of wet hair at the back of my head, it stayed in my hands!!! And that was a really thick strand! Just look at the photo below, taken several months after the disaster. That's just one strand, later on all top layers of my hair have gradually fallen off and I had to cut my hair quite short. Don't worry, it's not a recent photo, but it took me 2 years to grow my hair back... and imagine that I had to model in the meanwhile! Thanks God I discovered hair extensions by then! I'm generally quite a polite person, what's done is done and shouting wouldn't fix anything, so despite all sorts of names that were going through my mind at that moment, I didn't say anything. I just couldn't help tears coming out of my eyes (for like 7 days in a row). Guess what this colorist told me? - My darling, but what's that you do to your hair that it reacts this way to our quality products?! You should have really taken better care of your hair, condition it sometimes or something! This time I played around only with my top layers and left quite a gap near the roots to make sure I wouldn't have any spots (I didn't - yay! - so next time I'll do it even better!). But soon I'll be adding color to my bottom layers as well so that I could also put my hair up. In the video below on quick messy curls with a flat iron you can see what my hair looks like curled. And what about you guys? 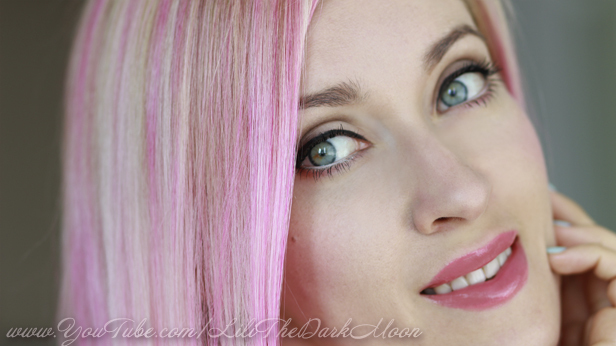 Have you ever tried any crazy hair color? And what color would you like to try? I recently got back from a wonderful 1 week vacation in Porto - one of my favorites cities in Europe. I've already been there several times and will be definitely coming back :) It's just too beautiful and has everything that I love - river, ocean, beach, hills, stunning architecture, amazing food (especially bread! yumm...) and friendly people. Then we went for a walk around the beautifully decorated hotel and found...the biggest cork in the world :) Now that's when I feel like Thumbelina! For the second day I decided to go for a romantic look with a trendy messy touch to it. Just as before, I wanted something quick and easy to do, so that I would't have to steal much time from my beautiful vacation. So I grabbed my flat iron, added some more curls and then used the technique from this tutorial. 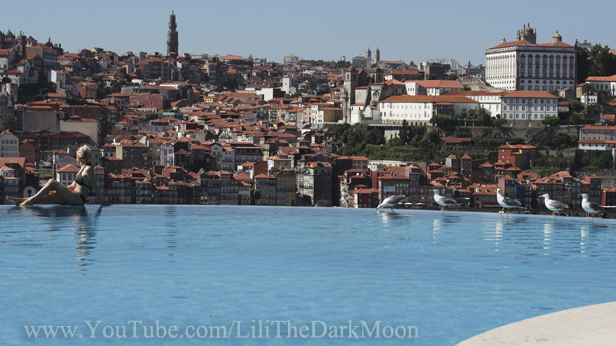 Even though I'm not a big fan of pools and generally prefer real sea/ocean water, I just could not miss the opportunity to go for a swim in the Yeatman's pool with such a fantastic view. The water was freezing, but it was still worth it :) I thought an upside down french braid from this tutorial will do a better job taming my shortest hair than any normal bun, and it did! In the afternoon I decided to spice up my hairstyle adding some twists to the front. We went for a walk by the Atlantic ocean at Foz do Douro and watched one of the most beautiful sunsets ever. 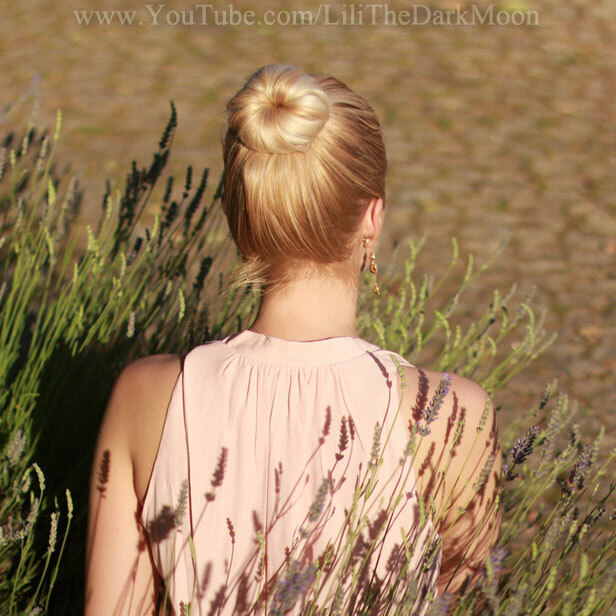 To keep my hair away from my face and neck, I've chosen a stylish dutch braided updo from this video. Check out this post for more ideas on hairstyles for the beach. Thinking about what hairstyle to wear, I realized it's been a while since I wore a cute hair bow from this tutorial - a perfect hairstyle for the second day hair. It was just another very hot day, so keeping my hair up seemed like the best option. 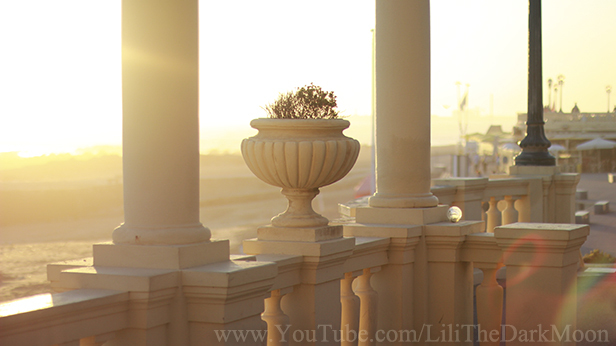 As usual, I did not feel like spending much time on my hair, so I went for an elegant rolled bun from this video. It creates an awesome illusion of thickness even in hair as thin as mine. By the end of the week I started to miss my extensions lol I was in a mood for a side swept braid and picked the one from this tutorial. I love the eye catching combo of a regular braid with twisted elements. 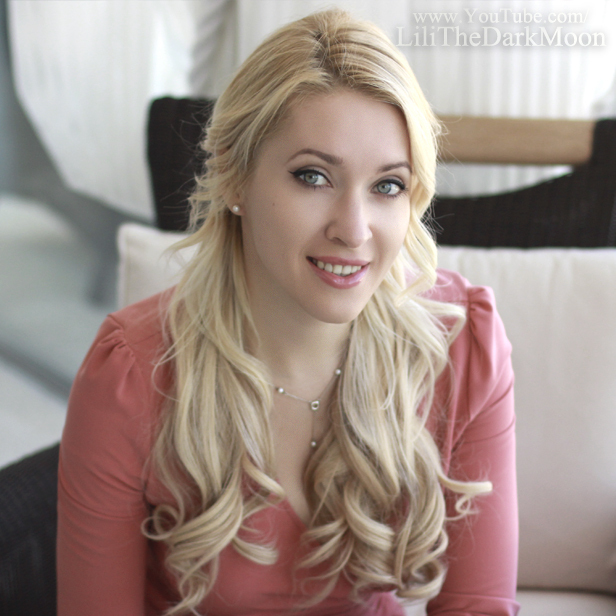 Many of you asked me to suggest some cute and easy summer hairstyles that work for the beach and pool, so here comes a selection of looks that I like to wear most. These hairstyles will keep your hair away from your face and neck allowing you to get a nice tan while staying glamorous. 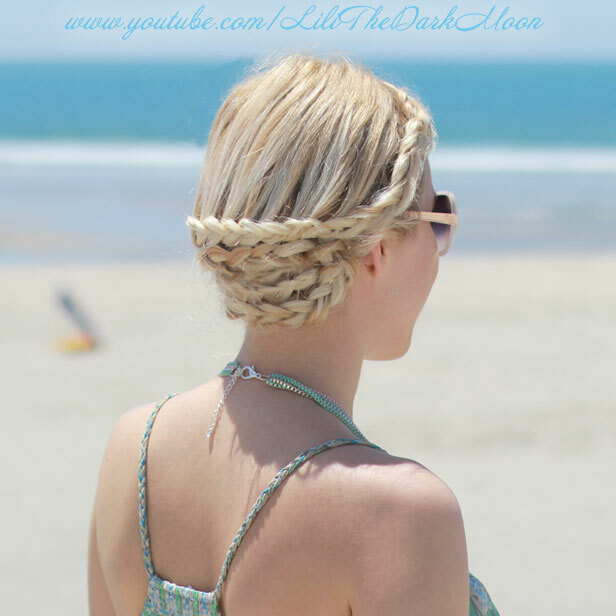 This Greek goddess inspired hairstyle is one of my favorite go to looks in summer. Once you get a hold of it, it will only take you a couple of minutes to recreate. You can also pair this look with a headband. Dutch crown braid is perhaps the most practical and secure solution when you plan to stay very active through the day (play sports etc). And once you release your hair in the evening, you'll get beautiful beach waves perfect for a party! The following braided updo was initially supposed to be a formal look, but recently I started to rock it on a daily basis. It's super comfortable on hot summer days and it also creates very nice waves. This French braided updo works best for medium length hair. It takes only a couple of minutes to do and looks very flattering from any angle. Rolled buns with braided accents are really in fashion these days. The hairstyle from my tutorial works equally well for medium and long hair. 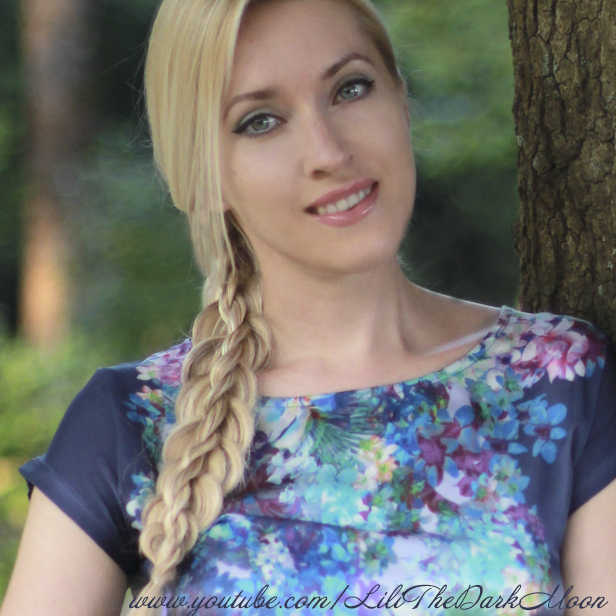 Trendy dutch braided updo from the next tutorial is a perfect solution to spice up thin medium length hair (though it works perfectly fine for long and thick hair as well). If your hair is shoulder length (not long enough to create a bun), you can tie the ends into a cute side ponytail. Without fancy accessories, this otherwise formal updo can also work for casual wear. 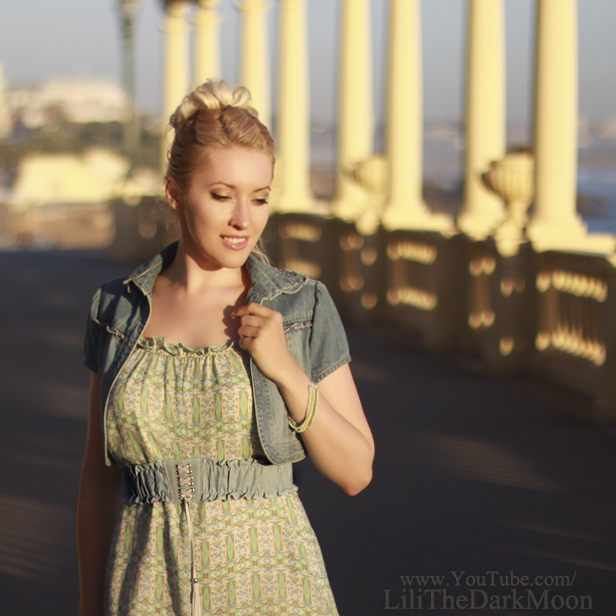 Leave me a comment and let me know what kind of hairstyles you like to wear most in summer!